The following illustrators have shared with us their vision of Wa by contributing their works voluntarily for our peace movement.. Enjoy the various flavors of our peace picture books written by our creative and talented illustrators! so we recommend parental guidance for minors. The copyright of the above illustrations belongs to each illustrator. These pictures were voluntarily offered to us only for the purpose of publishing them on our website. Therefore making copies of these pictures is strictly prohibited. Please contact each illustrator directly if you have any further questions. 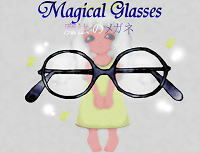 The original version of Magical Glasses (cause of abuse, hate crimes, wars...) is here. Details are on the donation page.